By the Gods of Olympus, welcome fellow agents of Precinct1313 to another episode of ‘The Week In Geek’ where we share our favourite comic book, video-game and cult movie news for your perusal and pleasure. ‘By the Horns of the Mighty Minotaur!’ Amazing Amazon – Gal Gadot is looking utterly astounding in these new shots from her upcoming solo movie courtesy of Entertainment Weekly. Looking every inch the Themysciran Titan from the comics, capturing the strength, beauty and ferocity of the ultimate Amazon warrior and herald. The 2017 dated film stars Gal Gadot as the astonishing Amazon, Chris Pine (Star Trek) as Steve Trevor and Connie Nielsen (Gladiator) as Queen Hippolyta, and is directed by the award winning Patty Jenkins. Gal Gadot’s Wonder Woman Will Be At San Diego Comic-Con… In Lego Form! By The Power Of Themyscira… This Is Awesome! San Diego Comic-Con is almost upon us once more (July 21 – 24) and in celebration of Wonder Woman’s upcoming 75th anniversary, the fine purveyor of plastic building bricks that are Lego will be bringing along a full size replica of Gal Gadot in her amazing Amazon guise! The blocky beauty comes replete with her sword, shield and iconic Lasso of Truth. And ‘By the Grace of Gaea’ they have unleashed shots from their upcoming take on the mighty Amazon from the recent blockbuster movie Batman v Superman in all its Gal Gadot glory! The figure has many dynamic action poses available due to the utilisation of a flexible material for her hair and skirt, and a vast amount of articulation points across the whole figure. Accessories include: a sword that can be sheathed on her belt, her round shield from Batman v Superman, signature golden lasso, interchangeable hands, and stand. Available from 8 August 2016, this stunning figure will retail for £99.99 ($149.99). ‘By Zeus’ Beard’ why not join us again next time friends for more Week In Geek. The scene is set for DC Comics’ biggest ever Comic-Con next month in San Diego, with their arch rival Marvel strangely sitting out of the world’s largest and most popular comic book convention, DC will be making the most of their absence with a massive showing of their upcoming cinematic universe. 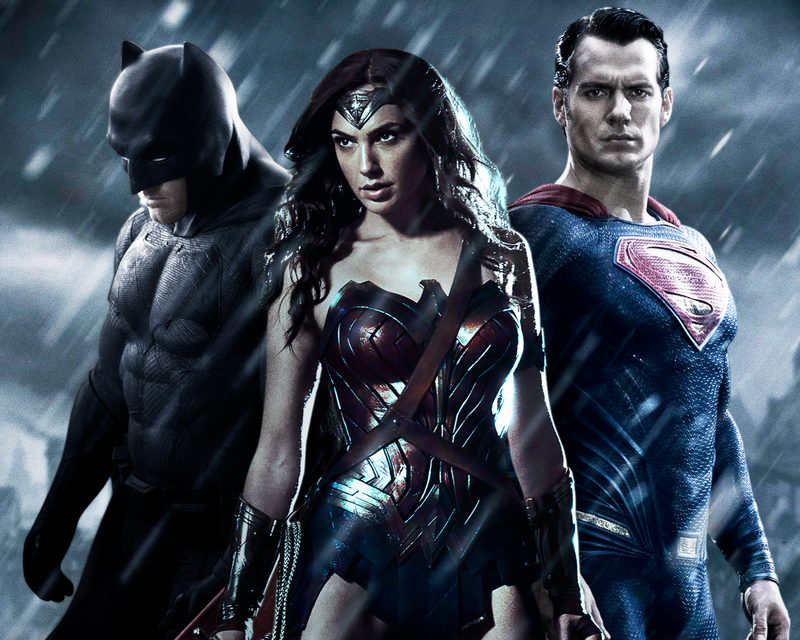 DC will have the convention floor to itself and will, if rumours are to be believed, roll out all their big guns including sneak peeks at their two big movies for 2016, Zack Snyder’s Batman v Superman: Dawn Of Justice and David Ayer’s Suicide Squad. It is also surmised that we may be hearing more news on Ben Affleck’s solo outing as the Caped Crusader in the planned 2018 movie tentatively titled “The Batman”. The film itself will be directed by Affleck, and it is also possible that Chris Terrio, the writer of one of Affleck’s previously directed movies “Argo” will be taking the writing reins for the Dark Knight’s new film. Green Lanterns John Stewart and Hal Jordan may take the stage at SDCC 2015! Also expected at SDCC 2015 will be news about the reboot of the Green Lantern movie, after the poor performance of the 2011 Ryan Reynolds helmed film. And in a surprising move, it looks like Warner Bros and DC have already picked the actor who will be playing Hal Jordan, Captain of the Enterprise himself, actor Chris Pine. It is strongly believed that Pine has been offered the role of the titular green space cop, even though it was previously thought he would be inheriting the role of Steve Trevor in the upcoming Wonder Woman movie. Little has been mentioned about the new GL film, though it looks increasingly likely that this time we shall be getting two Green Lanterns for the price of one, as Hal Jordan, it is presumed, will be be sharing Space Sector 2814 alongside fellow Lantern John Stewart, with Warner Bros expected to confirm the name of the actor who will portraying Pine’s co-star at SDCC. So, exciting times ahead fellow DC fanatics. The San Diego Comic-Con runs from July 9 through the twelfth. Alan Moore... Not So Scary After All!